The Embassy of Ireland in Abu Dhabi has opened UAE’s first external visa application centre in partnership with VFS Global. All non-UAE Nationals who are based in the UAE and require a visa to enter Ireland will no longer need to visit the Embassy. They should instead route their visa applications through VFS Global’s centre located in downtown Abu Dhabi. H E Paul Kavanagh, Ambassador of Ireland to the UAE, said, “The new external visa application centre will provide an excellent streamlined service for non-UAE Nationals who are based in the UAE and who require a visa in order to enter Ireland.” UAE Nationals wishing to visit Ireland are exempt from all visa requirements. 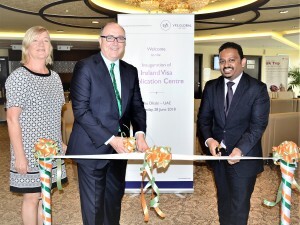 The Ireland visa application centre in the UAE is the third outsourced processing centre of Ireland in the GCC region in partnership with VFS Global, which now operates such centres for Ireland in 15 countries across the world. 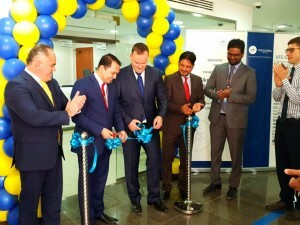 The VFS Global visa application centre for Ireland in Abu Dhabi is located at Level 25, Shining Tower on Mubarak bin Mohammed Street next to Khalidiyah Mall. Visa applicants based in the UAE can direct their queries to the call centre number +971 4 2055910 or communicate with the centre via email at info.irelandUAE@vfshelpline.com.